1. What was Jordan’s childhood nickname? Growing up, Jordan was called “black cat” by other kids. Tinker Hatfield, the designer of the Air Jordan III, completely unaware of the nickname, patterned the shoe after a black panther’s paw. The third generation of Air Jordans kicked the brand into a higher gear, paving the way for the brand’s continued iconic status, and the Jordan XIII would actually bear the "Black Cat" nickname. 2. Why did Jordan briefly wear #45? Few athletes get to see their numbers retired by their team, and even fewer return to play once that jersey’s been hoisted to the rafters. When Jordan returned to the NBA in the 1994-95 season (with a two-word release: “I’m back”) he wore #45, the number he’d worn as a member of the Birmingham Barons, rather than his trademark #23. Jordan had originally worn #23 in high school because it was roughly half of 45, the number his older brother Larry wore, and he’d later worn the 45 his senior year of baseball. 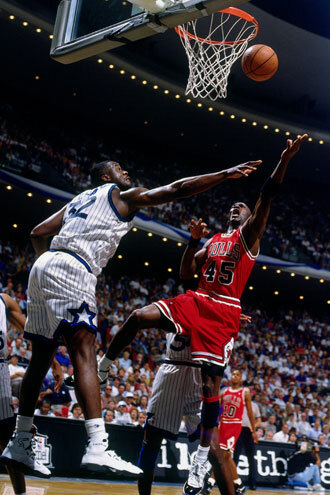 By the 1995-96 season, Jordan had switched back to #23. 3. Did Jordan wear any other number during his NBA career? For one game, Jordan wore #12. The story is this: on Valentine’s Day 1990, someone stole Jordan’s #23 jersey out of the Bulls’ locker room in Orlando. Jordan tried on a kid’s replica jersey, but it didn’t fit. Instead, he wore a nameless #12 jersey. 4. What name did Jordan use while in hotels on the road? Players rarely use their own names in hotels; you don’t want to get a call from a home-team fan at 4am the night before a game. Jordan would use the name “Leroy Smith,” who was a childhood friend. Not coincidentally, Smith was the player who got the last varsity roster spot denied Jordan in high school. As he would do so often in his life, he used pain as motivation. 5. What did Jordan do in his first at-bat as a professional baseball player? Jordan’s 1994 departure to play baseball still ranks as one of the strangest turns in sports history. The most famous athlete on the planet playing minor-league baseball? It made absolutely no sense. What made perfect sense, though, was that Jordan would have trouble switching to another sport. In his first at-bat for the Birmingham Barons, Jordan flew out; he would go 0-3 that game. He’d finish the season with a .202 average and three home runs over 127 games. 6. Are there really incorrectly-numbered Jordan statues all over the world? Uh ... hook 'em Jordan? 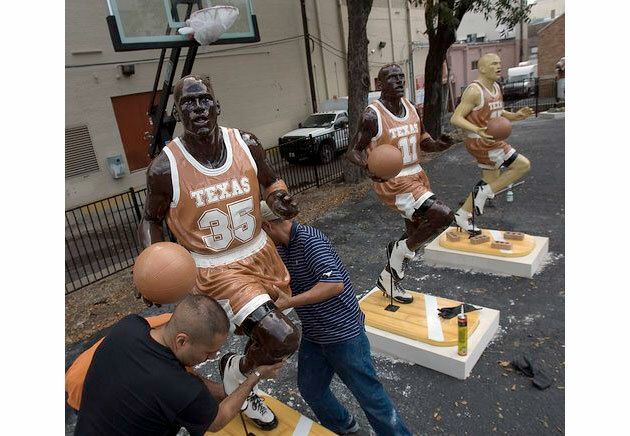 Why do these misnumbered Jordan statues even exist? That’s a separate question, and one which we don’t know, so we didn’t ask it above. 7. Did Jordan really have a “love of the game” clause in his contract? He did. Most athletes are forbidden from pursuing any activities which could potentially injure them, and that includes recreational basketball games. But Jordan overrode that by getting a clause in his contract allowing him to play anyone, anywhere, anytime. More recently, Kevin Durant has been following in Jordan’s Air Jordans, but most basketball players can’t get anywhere near a rec game without violating their contract. 8. What’s Jordan's golf handicap? Like most of his other non-basketball endeavors, Jordan is better than you’d expect but not as good as he thinks he is. He plays to a handicap of 4, which puts him among the better players at your local course but still light-years from even the worst professional golfers. Thankfully for all of us, Jordan didn’t ever try to follow in the embarrassing footsteps of Jerry Rice and play in a professional golf tournament. But he remains a presence in the golf world, most notably as vice-captain on Fred Couples’ 2009 Presidents Cup international-competition team. 9. What was Jordan’s pregame meal of choice? It would horrify 21st-century nutritionists, but Jordan’s pregame meal was a steak cooked medium, a baked potato, a green salad and water or ginger ale. Seemed to work well enough. 10. Was Jordan really on an '80s hip-hop song? 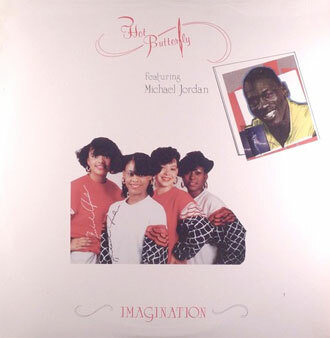 This one is truly terrifying: Jordan appearing on “Everybody Use Your Imagination,” a song by the justifiably-forgotten ‘80s hip-hop girl group Hot Butterfly. (You can hear it here.) Put it this way: Hot Butterfly was the Harold Miner to Salt-n-Pepa’s Michael Jordan. On the 1987 song, MJ does a spoken-word intro and outro, and the four ladies of Hot Butterfly sport Jordan-branded gear. We'd ask how something featuring the imprimatur of the world's best-known athlete could vanish without a trace, but we think you can figure it out for yourself. Happy birthday, MJ. Hope you still consider us your pals after that Hot Butterfly thing.